In addition to a Board of Directors, OWRN has a voluntary Steering Committee whose experience ranges from Management, Community Services, Veterinary and Wildlife Rehabilitation. If you feel you could contribute to our development in any capacity please feel free to get in touch. Pauline is currently working as a veterinary nurse with a particular interest in wildlife. Prior to her veterinary career Pauline spent 31 years with Aer Lingus. In Pauline's spare time she trained in the care of oiled wildlife initially in IBRRCs oiled bird facility in San Pedro California and with Ostend Wildlife Centre in Belgium. 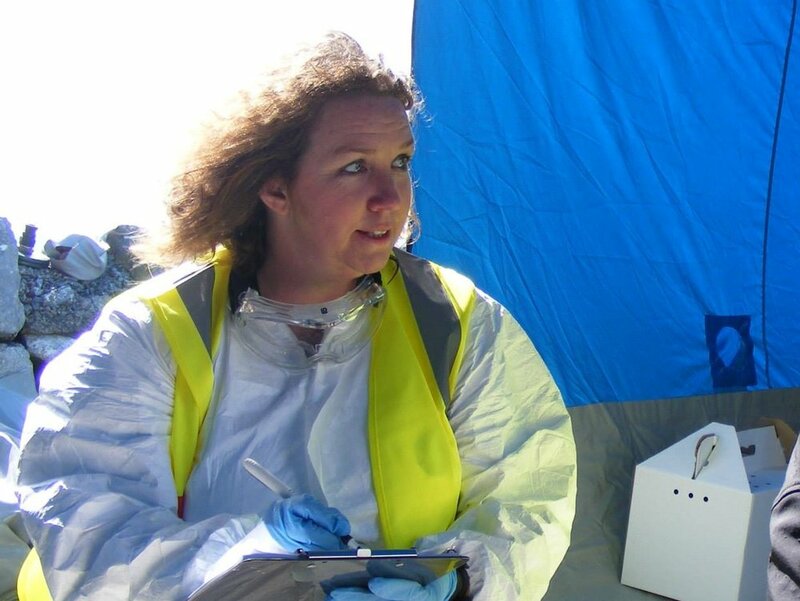 While learning about the specific needs of wildlife affected by oil spills, Pauline realised that there was a great need in Ireland for a collaborative Wildlife Response should an oil spill ever occur here. Thus, the OWRN was born. Presently working at Northside Partnership as Chief Executive Officer. Paul has had a long career in social and community development with a clear vision of what can be achieved. Paul has had a life long interest in the marine environment and spends a lot of time involved in marine activities such as sailing. Presently Assistant Harbour Master with Shannon Foynes Port Company with special responsibilities for Emergency Planning, Oil Pollution Response and HNS response development, Oil Jetties and Dangerous goods. Director of SEAPT Ltd, the Shannon Estuary Anti- Pollution Team, and managing the Team since its beginning in 1993. Prior to this Captain Conlon spent 17 years working at sea initially with BP Shipping and then with Dublin Shipping, on oil tankers. Since the 1990's Steve has been involved in seabird monitoring, research and management with BirdWatch Ireland. He has a 20 year involvement with managing Rockabill and its Roseate Terns in north County Dublin and also regularly works on Skellig Michael in Kerry. Between 1998 and 2002 he coordinated a full national census of all breeding seabirds and a resurvey commenced in 2015. Laura is a freelance marine wildlife consultant based in Co. Tipperary. Her work has taken her all over the world, contributing to many and various marine mammal and seabird projects, for both industry and research. Laura adores all animals is delighted to have joined the OWRN back in 2014 as a volunteer first responder. Laura is currently working as part-time office manager for the Network and has set up office in Foynes, Co Limerick, thanks to the support and generosity of Sea-pt. Sonia has a degree in Zoology and trained as a Field Ranger in Kruger National Park in South Africa. She worked in Seal Rehabilitation for 3 years and has volunteered in many animal rescue centres. Sonia has worked with Pauline for many years and Pauline ensured that there was no escaping her involvement in the creation and development of the OWRN. Subsequently Sonia has worked in Event Management and is currently a member of An Garda Síochána. Sonia continues to be proud to be involved with the OWRN as it is a growing and truly worthwhile network. Helen worked with Aer Lingus for a number of years before moving to West Cork to rear her children. Helen is a Surf Lifesaver and spends time sailing and canoeing with her husband and children. Helen is passionate about wildlife and the marine environment and has traveled to Belgium as representative of the OWRN to expand her training in the care of oiled wildlife. Gillian has always found herself living beside the coast, from growing up in Westport, living on the West coast of US and south coast of England and eventually settling in Skerries, Dublin. Gillian spent 15 years as an accountant, working for several different multinationals before deciding to leave the corporate world and follow her passion, which was working with animals. Having worked for a year with the DSPCA, Gillian went back to full time study to become a veterinary nurse. Gillian lives in Skerries with her husband Anthony and dog Molly. Despite her skills as a veterinary nurse, Caryn presently works in a health clinic in Dublin. Caryn's medical experience has crossed the species from animal to human and back to animal and now back again to human! After sucessfully completing her diploma in chemistry Caryn worked in a veterinary laboratory before moving to a medical clinic where she became practice manager. Caryn's love of animals led her back to full time education and her degree in veterinary nursing. However she has now made her way back to the world of human health.